Whether you have been in a long-distance relationship for a while, or recently started a long-distance relationship, one thing you will agree to is that being in a long-distance relationship can be quite a challenge. You find that you shift from seeing your partner all the time to seeing each other once every few months when you travel to see them, a change with serious consequences to your daily lives. Agreed, a long-distance relationship can definitely be worthwhile if you are committed to developing your relationship. Jumia Travel, shares 5 ways travelers can survive long distance relationships. To keep your long distance relationship going smoothly, it is important to know when the other person is busy, that way one person does not feel neglected or the other does not feel disturbed or even irritated when contacted by the other. Keep track of the small and big events that are taking place or will take place in each other’s life such as business trips and meetings etc. Also, if you both experience a difference in time zones, ensure you put it into consideration. Both of you need to sit down and discuss the goal of your relationship. Ensure there is a possibility that you two will one day be together and achieve your happily ever after, then set some ground rules that will clearly cover what you expect of with each other during this long distance relationship, that way, none of you will do anything that will take the other party by surprise. To ensure you don’t get tired of the whole long distance situation, it is important that you not only communicate regularly, you are creative in how you communicate with each other. Speak to each other at least two times a day and ensure you and your partner stay updated on what is happening in your lives, however mundane some of the things may seem. Also spice up communication with pictures, audio clips and short videos from time to time. The fact that you are not in the same geographic location does not mean that you cannot do things together. 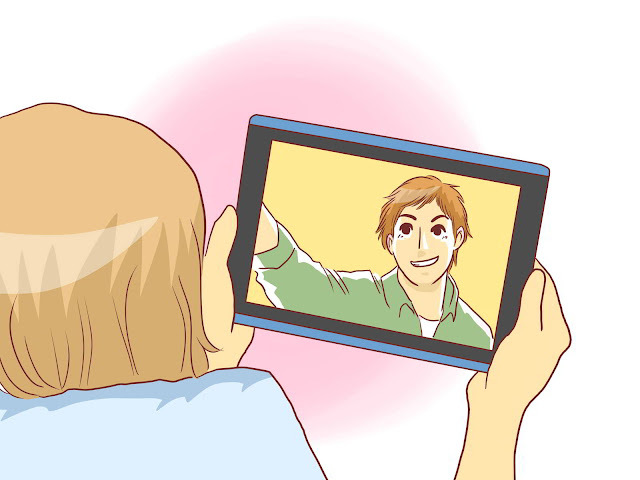 Schedule to watch the same TV show at the same time in your different location , play an online game together, go online-shopping together or even take a walk together outside while video-calling each other. There are many things you both can do together, even if you are not in the same space physically. It is a great way to create some shared experiences even though you are living apart. Stay connected on social media. From Facebook to Instagram, Twitter and Snapchat, ensure that each of you have access to view each other’s activities online. Like each other’s photos, tweet at each other and tag each other. Basically, be cool about stalking each other. Share this post with your friends and also share your thoughts by adding your comments below.